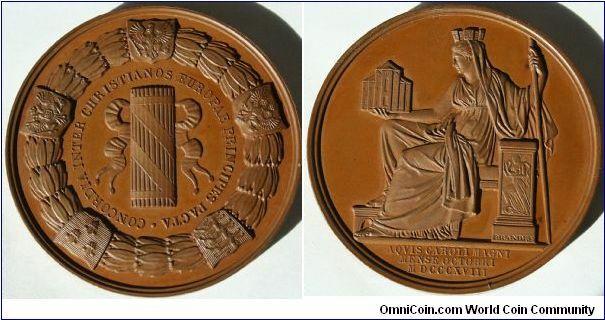 Very impressive, reminded me of this medal which I have not looked at in years and the image is from that same time. But you might be interested in the font I used for my epithet below, Aethelred, it was a free download. Frederick was crowned king 9 Dec. 1212 in Mainz but he was crowned again in Aachen 25 July 1215. He was later Crowned Holy Roman Emperor on 22 Nov. 1220 in Rome. That a beauty, nice sharp detail. What is the size and weight?